It’s not Urals that are unreliable. It’s their owners. But, actually, it’s all my fault. And it shows precisely why Urals are not, as some believe, rolling manifestations of unreliability. Instead, it illustrates that there are only unreliable owners. Thing is, modern stuff and Urals are fundamentally different. Modern stuff is all about sealed units, electronics, modules and zero interaction. You get on a modern bike, thumb the starter and it goes. No fuss, no bother – and absolutely no need to interact with the machine. The mechanics powering its engine and drivetrain are as much a mystery to you as the interior of your microwave. A Ural is different. And that means Ural owners need to be different too. Starting procedure… if you have any mechanical sympathy at all, you’ll turn the engine over a couple of times with the kick-starter, just to give the top ends a fighting chance of getting a bit of oil heading their way. Then you’ll need to open the enricheners on the nasty, cast-in-purest-cheese Pekar K68 carbs. Of course, you’ll already have checked their float bowls are free from water, remember? Then, clutch in and hit the starter. This assumes you’re not one of the significant minority of Urallists who eschew electric starting. And that’s the point. Urals are about interaction, about knowing how, about getting involved with the machinery. And that’s why they need the right sort of owners. Anyone who thinks they can just get on and ride an older Ural like a Modern is in for a very oily, spanner-related wake-up call. My pal Alex’s new Triumph horrified him by being supplied with just a 5mm allen key. That was it. But it has more computers powering the fuel injection system than ran the whole of the Soyuz I mission. And you’re not allowed near any of them. In fact, modern bikes discourage interaction of any sort apart from the throttle-twisting kind. That’s fine, although I’m old fashioned enough to think that if you’re going to trust your neck to something you should understand how it works and be able to fix it. A Ural comes with a tool kit that’s comprehensive enough to rebuild the engine, fix the cycle parts and probably construct a Bessemer converter with what’s left over. If you jump from a Honda to a Ural, and treat it with the sort of neglect Hondas lap up, it WILL be an unreliable heap. That’s because a Ural needs maintenance in the same way a Honda needs petrol. It’s part of the ownership experience. Maintain a Ural, tinker, fiddle, get to know it and it will be (as mine has been) stone reliable. It will get you home – always. That’s because you’ll know what to do with the countless little things that niggle on a Russian machine that defines the concept of simple mechanics. That means you need to be a certain sort of person to own a Ural for the long term. The sort of person who has a set of metric feeler gauges and knows what they’re for. Who understands, at least broadly, how a carburettor works. But most of all, who takes to heart the WWID technique of maintenance and repair. WWID stands for “what would Ivan do?” Ivan being the mythical, Everyman Russian Ural owner with basic tools, no training, but a self-taught understanding of how mechanical things work. 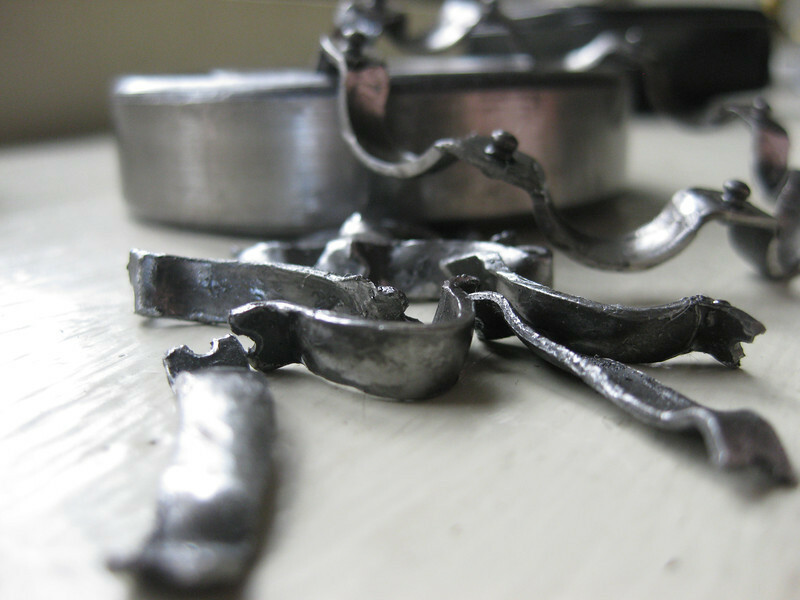 For example, Ivan would cheerfully use a strip cut from a drinks can as a shim. As Pirsig points out, it’s perfect shimstock – and Ivan knows it. He knows when to step back, put down the spanner and think. And his life is richer for it. So when someone takes a pop at ‘unreliable’ Urals from the electrically heated saddle of their new K1600GTL, I’m happy to smile. That’s because I know that if their self-levelling headlight circuit develops a fault, their entire bike’s systems will shut down in self protection and they’ll be trailered home. If my Ural’s headlight fails, as it did a couple of years ago, there are only two options – the bulb or the fuse. Takes two minutes to sort either and get on with riding. I like simple. Simple’s best. Ask Ivan. → A spring evening’s bimble, being scared and perspective. ← The past. Very much present. So, what’s the story behind the images? It ain’t no roadside repair for certain! I too have reverted to a more basic technology – a car with a starting handle and a carburettor. Most satisfying. I feel in control again. 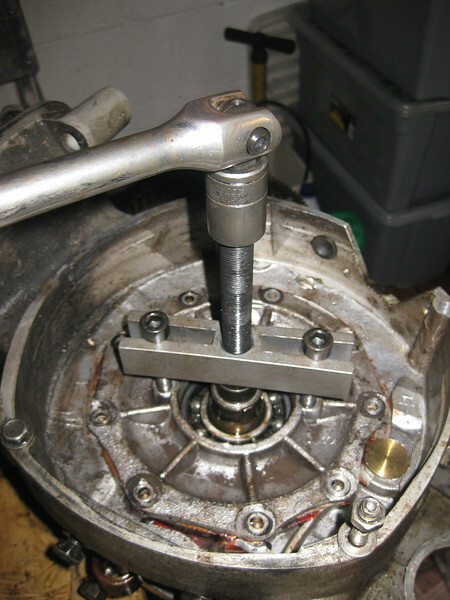 The Ural crank runs on two bearings. I’d been concerned about the rear bearing for a while, so I stripped the engine once it started making nasty noises. 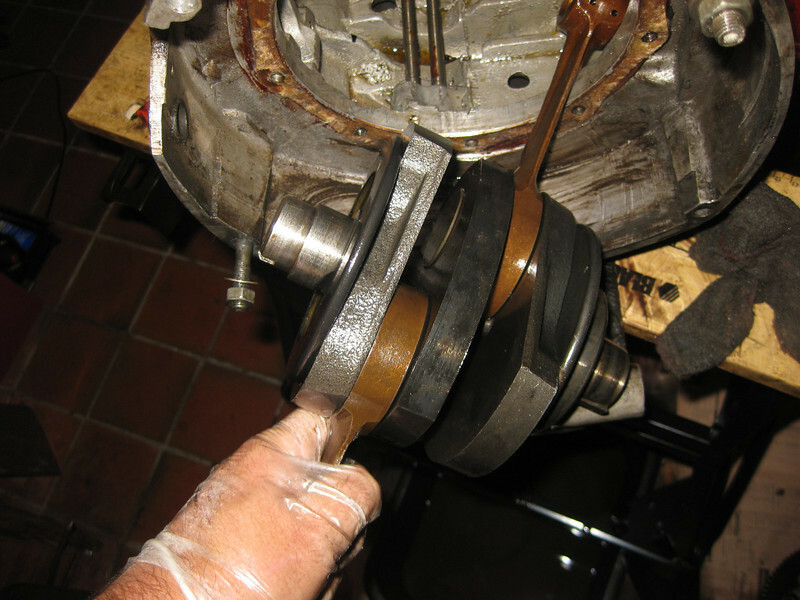 Sure enough, good old Russki bearings – the inner cage had come off and distributed itself around the engine. So that meant the whole plot had to come out and get stripped completely down to the crankshaft. Bit of a beast of a job. But new, non-cheese European bearings sorted the plot out. And a car with a starting handle and a carb sounds like the right idea. Owning a Ural Gear Up, I appreciate the simple things in life. But living in Seattle, it’s the right side that needs the attention!!! Was never all that mechanically inclined, but bought a 2010 Ural patrol new…and learned from the ground up…still not a mechanical wizard, but the satisfaction of knowing that more than likely…I will be able to at least get it going and find my way home…or to the nearest pub….while 99% of other bikers will be calling the motor club and looking for a trailer to head home with….Nice article…kepp on keeping on with your Ural! I knew that 20 years of Preventive Maintenance in the Marines would pay off. Its a schedule, a procedure, and eventually a habit. I got lucky. It was the left muffler that was pouring the fuel out when I left the petcock open after shutting it down. Lucky’s usually a good thing to be with Urals. I’ve been very lucky indeed with mine. Even when it lunched the rear crank bearing it did no damage I couldn’t fix. Thanks for the comment too. My 2006 Patrol is 100% reliable, except for the newfangled electric starter & especially the type V electronic ignition after 20,000 Km. The kick starter & revert to points ignition fixed that. Bought a Dnepr earlier this summer. I can attest to a similar experience and and understanding. I’ve driven old VWs since they could be bought new, and find these bits of simplicity to be amongst my favorite moments of joy in life. Thanks for your eloquent portrayal of it.